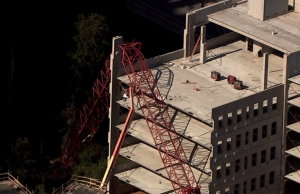 Firefighters reportedly rescued two construction workers during an Atlanta crane collapse Thursday afternoon, October 15, 2015. According to WSBTV News, the construction accident occurred near Roxboro and Kingsboro Roads in Buckhead, as construction crews worked on a high-rise apartment building. The crane apparently hit a cherry picker as it fell and came to rest against the building. Media reports indicate at least two workers were rescued from the scene by a firetruck ladder. Thankfully nobody was injured in this incident. However, the accident serves as a reminder to all construction employers of the critical need to provide a safe work zone for employees, including proper safety gear, emergency training and equipment. 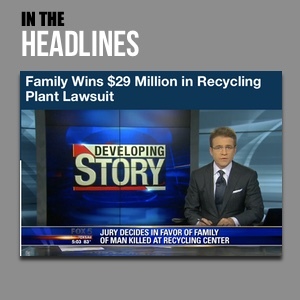 Employers have a responsibility to provide employees with a safe and healthy work environment. OSHA’s Crane & Derricks in Construction safety website addresses industry hazards, safety standards, and accident prevention.